Are you passionate about skiing? Want to spend more time on the slopes but can't justify the expense of staying in hotels or buying/renting pricey chalets? It might be time to consider investing in a studio apartment. Cheap, convenient and capable of bringing in a useful income too, studios are the perfect solution. Estate agents' terminology can be confusing. 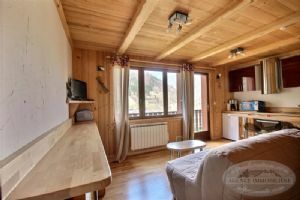 Apartments, duplexes, chalets and studios are all terms you may see when seeking property in the ski resorts in France (The Best Ski Resorts in France for Buying a Property). If you're operating on a tight budget, as most of us are these days, you'll no doubt have also noticed that of all these options, studios seem to be the cheapest. But, what exactly is a studio, and how does it differ from an apartment? To cut through the jargon and clear up the mystery once and for all, a studio is a one room property. The bathroom will normally be separate, but kitchen facilities, living and sleeping accommodation are all in the same room. Sizes of studios may vary, but all follow the basic idea of one room living. What is a ski studio? A ski studio is a one room apartment (as described above) designed specifically for the needs of skiers. It will be located in a resort or within easy reach of lifts and transport to the pistes. Ski studios will also often have extra space, sometimes in a shared area with other studios, for storage of ski equipment. Ski studios may have adaptable accommodation, with sofa beds and even mezzanine areas for extra beds. Some have a "coin montagne" mentioned. This term can be open to interpretation, but usually refers to a partitioned off sleeping area, probably with bunk beds. If you want to own property in the ski resorts of France, a ski studio is almost certainly going to be the most cost effective way of doing it. Compared with apartments and chalets, the initial purchase price of a studio will be lower and so more affordable. The space may be smaller, but all the other benefits of owning a ski property are there to be enjoyed. You have your own bolthole by the slopes and you can choose a resort that suits you. You may also find that studios, being less "space gobbling" in town, could even be found in more desirable and central locations than larger apartments. Over time, not only will you see your investment grow in value (the ski resorts are consistent performers even in times of recession) but you will have saved money on hotels and rental accommodation for your holidays. A further advantage of owning a ski studio is the possibility of letting it out when you aren't using it yourself, thus bringing in a useful income (Letting property in France). Or, if you prefer to be more altruistic, you could simply allow family and friends to borrow it for their holidays! 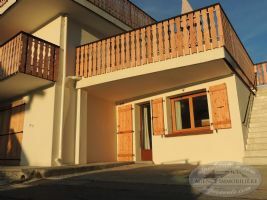 Apartment for sale located in the dynamic resort of Saint Jean d'Aulps, Roc d'Enfer. In a good state, this studio boasts of a number of strong points such as its storage capacity, its bed drawer, its windows in the bathroom and the kitchen, as well as its double cellar. Possibility to come and go from the residence with skis, all necessary amenities such as shops, ski school, restaurant, or even buses are located only 400m away. Sole Agent ! 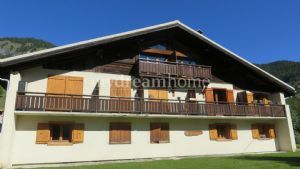 For sale studio apartment in the charming ski village of Praz sur Arly near Megeve in Haute Savoie. 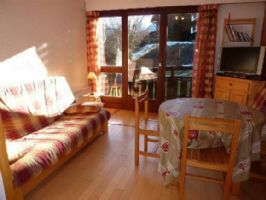 In a quiet location in the centre with all its amenities and ski bus 50 yards away. Living/sleeping area, shower room with wc and ski locker. A ski property in The French Alps for the price of a car! 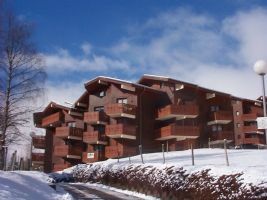 Great little ski studio apartment on the pistes of Manigod/Etale, part of the world renowned La Clusaz ski area. Clean, equipped and ready to use and rent out. It also has use of a sunny garden terrace area outside the sliding doors. This apartment comes with a ski locker and is sold furnished. There is also a free swimming pool which is open to property owners during the summer. The property sits at an altitude of 1500m so a pretty snow sure location! 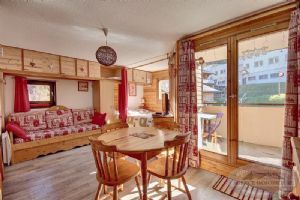 Studio for sale close to centre of the mountain village of Les Gets. Good opportunity! 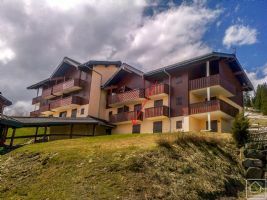 For sale, in the Saint Jean d'Aulps – Roc d'Enfer resort, spacious South facing studio with views on the ski slopes. This apartment can accommodate up to 4 people. The very well lit and spacious living room gives access to a sheltered South facing terrace offering beautiful views on the resort and mountains. For sale close to the center, in a residence with freshly renovated facade,groundfloor studio with a west facing terraceincluding an equipped kitchenette , a main room with a mezzanine double bed and a shower-room+ toilet. Private outdoor parking. Ideal for a first pied-à-terre! Concerning the price: it includes agency fees at the expense of the seller Delegated mandate. 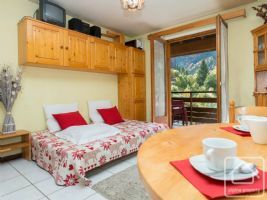 This spacious and bright apartment enjoys beautiful views over the valley and the surrounding mountains. 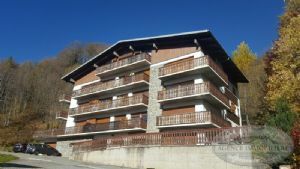 Only 700m from the slopes and the ski lifts of the Pleney, this attractive studio is located on the upper ground floor level.